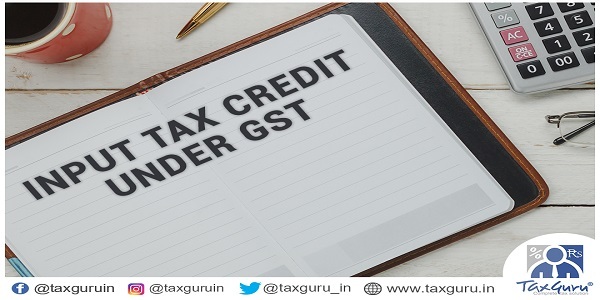 Section 17 of CGST Act, 2017 restricts the availment of Input Tax Credit (ITC) to the extent it is attributable to the purpose of business and to the extent of effecting taxable supplies. Rule 42 and 43 of CGST Rules, 2017 specifies the mechanism of such apportionment of ITC in respect of Inputs – Input Services and Capital Goods respectively. As far as construction and real estate sector is concerned, the path of stakeholders of this industry is full of potholes. This article dedicatedly talks about applicability abovementioned provisions to construction sector. Legislative intention of the government is to restrict the ITC to so much as is attributable to the purpose of business of registered person. As per rule 42 of CGST Rules, 2017, ITC attributable to Inputs & Input Services intended to be used exclusively for the purpose other than business shall not be availed. ITC attributable to non-business purpose where common inputs and input services are used partly for non-business purpose and partly for business purpose, shall be quantified as fix percentage i.e 5%. Where the goods or services or both are used by the registered person partly for effecting taxable supplies including zero-rated supplies under this Act or under the Integrated Goods and Services Tax Act and partly for effecting exempt supplies under the said Acts, the amount of credit shall be restricted to so much of the input tax as is attributable to the said taxable supplies including zero-rated supplies. Mechanism, to apportion such ITC in respect of Inputs and Input Services, is given under rule 42 of CGST Act, 2017. ‘C2’ is the common ITC left after attribution of ITC as mentioned above. Area of 10 flats which were sold after receiving completion certificate – 10,000 sq. ft.
(ii) as per rule 42 of CGST Rules, 2017, apportionment formula to be applied to Rs. 50,000/- only being ITC involved on inputs and input services in a tax period. (iii) What to consider denominator and numerator in the formula prescribed? 1. It seems that mechanism provided under law is not suitable and applicable to construction and real estate sector. In above scenario, few schools of thoughts are prevailing for credit reversal and industry is following many methods for the same. 2. It is a well settled law that if the machinery provision fails then, provision casting liability also fails. Hence, one thought is that machinery provisions for calculation of reversal of ITC is missing and hence one may avoid such reversal which is a risky interpretation. 3. Another thought is that to go with the mechanism provided under rule 42 of CGST Rules, 2017 based on the following contentions. The Government may prescribe the manner in which the credit referred to in subsections (1) and (2) may be attributed. Manner to attribute ITC which attracts section 17(1) & 17(2) of CGST Act, 2017 is provided under rule 42 and rule 43 of CGST Rules, 2017 in respect of inputs-input services and capital goods respectively. Further, clause (g) and proviso mentioned after clause (m) of the said rule specifies that ITC which is exclusively intended to be used for purpose other than business and for effecting exempt supplies shall be identified and segregated at the invoice level. Remaining amount shall be treated as common ITC. One may take view that at the time of beginning of the project, one cannot predict how much of ITC is attributable to exempt supply (i.e flats sold after completion in this case) at invoice level and complete ITC was intended to be used for effecting taxable supply only. Hence, formula prescribed shall not be made applicable to ITC availed in past. A per this contention, only ITC of Rs. 50,000/- is to be apportioned in our example. 4. One more logical view can be taken that ITC is to be reversed on the basis of proportion of area of project. Hence, ITC attributable to taxable supply shall be restricted to 90% (area of project sold before receipt of completion certificate) whereas 10% (area of project sold after receipt of completion certificate) shall be subject to reversal. Hence, out of total ITC of Rs. 1,00,00,000/-, in our example, ITC of Rs. 10,00,000/- shall be reversed. As the tax is not payable on flats sold after completion certificate, ITC shall not be claimed to the extent of exempt supply. However, reversal of ITC shall be done as per mechanism provided under rule 42 of CGST Rules, 2017 as mentioned in point 3 above. Issue no. 2: When the reversal of ITC is to be done? This view is highly impossible as one cannot predict whether inputs and input services are to be consumed for effecting exempt or non-taxable supply. As per section 17(2) of CGST Act, 2017, ITC is to be reversed where goods are ‘used’ partly for effecting taxable supplies and partly for effecting exempt or non-taxable supplies. However, as per rule 42 of CGST Rules, 2017, ITC is to be reversed pertaining to inputs and input services which are ‘intended to be used’ for effecting exempt or non-taxable supplies. Here also, rule contradicts provision of the act because words ‘used’, in section, and ‘intended to be used’, in rule, makes significant difference. Hence, harmonize interpretation of the section and rule could be to reverse ITC at the time of receipt of completion certificate as one can determine actual ITC pertaining to goods or services or both used for effecting exempt supply and also one cannot intend to use ITC for effecting taxable supply. This will also result in saving additional levy of interest. Department may demand, in this case, additional interest. Going in line with formula prescribed under rule 42 of CGST Rules, 2017 and author’s view as mentioned above, reversal shall be made at the time sale after completion certificate. As far as additional interest is concerned, one may take stand that reversal is made according to mechanism provided. One can compute denominator and numerator in formula at the time of sale of such flats only and hence no interest shall be demanded. Goods or services or both received by a taxable person for construction of an immovable property (other than plant or machinery) on his own account including when such goods or services or both are used in the course or furtherance of business. i. Under clause ‘c’, ITC pertaining to works contract service for construction of an immovable property is not available unless it is an input service for further supply of works contract service. ii. Under clause ‘d’, ITC pertaining goods or services or both received for construction of an immovable property on own account is restricted. Hence, ITC pertaining to goods or services received to construct own factory shall be reversed notwithstanding the fact that it will be used in the course or furtherance of business. iii. Term construction as defined under explanation to clause ‘c’ and clause ‘d’ includes re-construction, renovation, additions or alterations or repairs, to the extent of capitalisation, to the said immovable property. It implies merely capital nature of expenditure shall not attract above provision but ITC pertaining to expenditure actually capitalized in the books of account shall be treated as ineligible ITC. iv. Further, if such works contract service or any other goods or services or both are received for construction of plant & machinery, ITC shall be available. GST शास्त्र: How to claim credit under 60%/40% scheme? Thanks for this question sir. 2) inputs contained in semi finished or finished “goods” – I would like to attract your attention towards word ‘goods’. As & when project receives CC, it is not to be treated as goods but immovable property. Hence, 18(4) fails here & hence in my opinion is not applicable to construction sector.